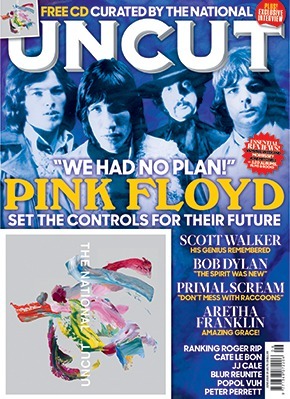 The new issue of the UK's Uncut Magazine (cover date June 2019) went on sale on Thursday (April 18th), is available now in all good stores, and available online worldwide, and as you can see, has Pink Floyd as its cover stars. The ten-page article looks at the transitional period of the Floyd - writer Tom Pinnock discovers a band reconfiguring themselves and their creative aesthetic following the departure of Syd Barrett – via a run of bold, experimental records that are considered by many among their best. It makes for a fascinating read; the story is brought up to date with a piece looking at Nick Mason's Saucerful Of Secrets, who are concluding their US and Canada tour this evening, and are back in the UK next week for a string of shows, before spending much of July performing around Europe. If you can't find the June 2019 issue of Uncut at your local UK store, order online now. The issue comes with a unique 15-track CD curated for Uncut by The National. Elsewhere in the magazine, you’ll find Scott Walker, Bob Dylan, Primal Scream, JJ Cale, Cate Le Bon, Peter Perrett, Aretha Franklin, Mac DeMarco, Dinosaur Jr, Dylan Carson, Africa Express and much more. Nick and his band are back at the Beacon tonight, but we suspect lightning won't strike twice - guest appearances like this are normally very much one-off events. 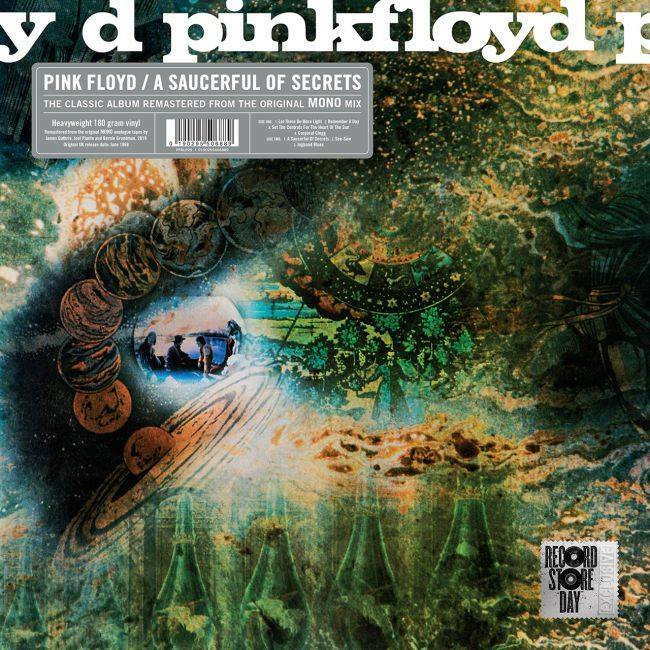 A reminder for you, should you need it: on Saturday, Record Store Day 2019 Pink Floyd are re-releasing their second album, A Saucerful Of Secrets on vinyl. 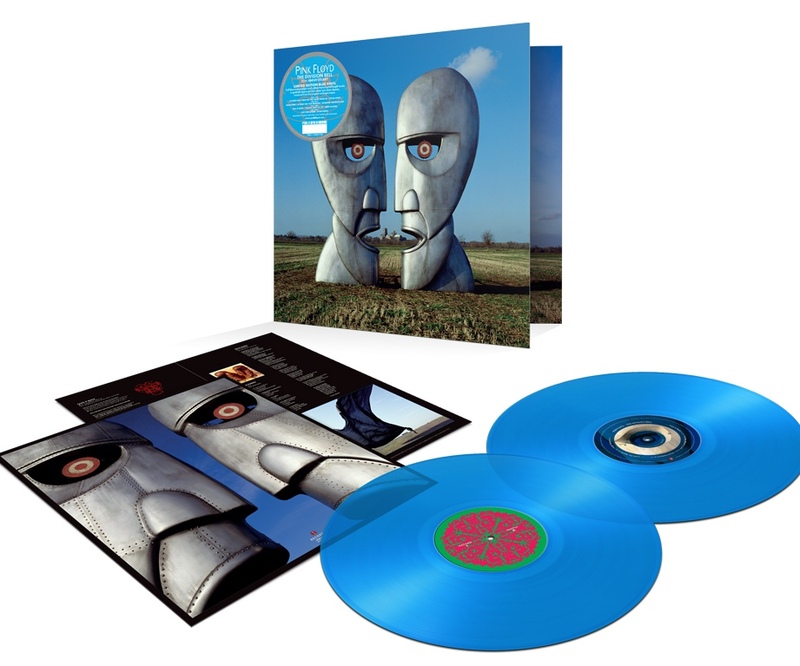 Remastered by James Guthrie, Joel Plante and Bernie Grundman from the original 1968 analogue mono mix, the release is the latest from Pink Floyd Records, which has supported Record Store Day (RSD) since the label's launch in June 2016. 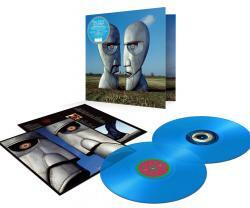 The limited-edition Record Store Day release is on premium 12" 180 gram black vinyl, with a black poly-lined inner sleeve, and a faithful reproduction of the original sleeve, including the Columbia logo, under which imprint (via EMI) the early Pink Floyd released in the UK. The Columbia logo has been used by kind permission of owners Sony Music Entertainment. Originally released in June 1968, A Saucerful Of Secrets represents a change in line-up and direction. Co-founder and original songwriter Syd Barrett contributed only one song to the album and his live appearances became more erratic. So unreliable were Syd's live appearances that fellow founder members, Roger Waters, Rick Wright and Nick Mason decided to draft in David Gilmour, a friend of Syd's, also from Cambridge. The album reflects this transition, containing a mixture of material, from the almost music hall Corporal Clegg through Rick's dreamlike and melodic See Saw and Remember A Day to the title track – an 11-minute, four part instrumental excursion that both harked back to their UFO freakouts and looked forward to the longer, more anthemic instrumental sequences that were to become one of their signature elements. The full list of RSD releases for 2019 is available at www.recordstoreday.com. David Gilmour - a very happy birthday to you! Happy birthday to Guy Pratt! Additional 2019 tour dates for Nick Mason's Saucerful Of Secrets - US and Canada! Additional 2019 dates for Nick Mason's Saucerful Of Secrets!